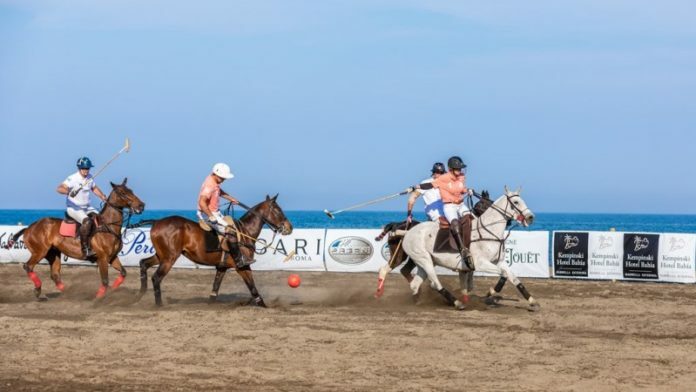 Sun, sand, sea and polo will delight the Mediterranean crowds on the 4th and 5th of May 2019 at Kempinski Hotel Bahia as the hotel will host for the second time on its beach the “Sport of Kings” in Estepona – Marbella, Spain. During two days glamour and excitement will be at high as four international polo teams will compete for the second edition of the ‘Costa del Sol Beach Polo Cup 2019’ – a sought-after event that promises glamour and gourmet cuisine by the sea. The two-day tournament launched last year went down in history as the tournament of firsts: it was the first-ever overall victory for the team “Kempinski Bahia” and it was the first time a Polo Tournament was played at a beach in Estepona – Spain. The event was attended by the crème de la crème of the Costa Del Sol, European Royalty and international polo players, including Niclas Johansson, Lauran Desmas and Jaspar and Kate Kühlwein this year is set to be no exception. 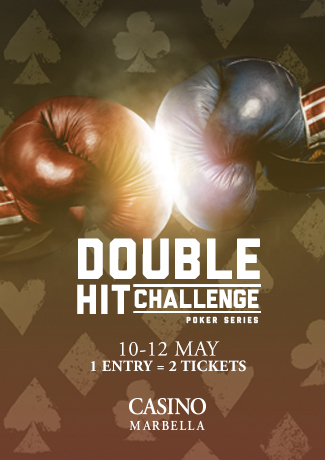 Saturday, 4th of May – Matches at Playa Padron (Kempinski Hotel Bahia beach). From 16.00 to 19.00. Sunday, 5th of May – Matches and Awards Ceremony at Playa Padron (Kempinski Hotel Bahia beach) from 12.00 to 14.00. The II Costa del Sol Beach Polo Cup will have two different spaces to experience the best polo: the public area through the bridge and the Kempinski VIP Marquee. VIP tickets will include entertainment, fabulous food and champagne and are available also for those who wish as well to attend to the Saturday, 4th May Gala Dinner and Sunday, 5th May Polo Chic Lunch. To Book your VIP tickets info@costadelsolbeachpolo.com or call 663 706 105. Spectators who just wish to watch the matches can do so for free, simply stroll along and enjoy the action. This is a great opportunity for everyone to come and experience this noble sport, and watch top polo players and their horses at close range, right on the sand. Organiser Isabel de Borbon commented, “I am delighted to bring again Beach Polo to the shores of the Costa del Sol and to the prestigious Kempinski Hotel Bahía. This has been a very ambitious project that could only be realized with the great support of Estepona’s Town Hall and the coordination and the enthusiasm of the Kempinski Hotel Bahía since day one. “Beach Polo is an innovative version of traditional Polo being played on smaller size sand arenas where the audience can appreciate the fast polo action at close range. Four international polo teams on around 50 agile polo horses will be competing for the II Costa del Sol Beach Polo Cup, captivating spectators and aficionados.” There are four great international polo teams participating, their names will be announced during the upcoming press conference. The tournament is supported by the Estepona Town Hall and powered by Isabel de Borbon and her polo events company Polo4Ever, being the first event of its kind on the Costa del Sol. The principal sponsor is Kempinski Hotel Bahía, other sponsors include Bvlgari, Scapa Sports, Perlage, Ferragamo and Pagani.